Having more than one device in your classroom requires some basic management on your part to keep them charged, updated, and organized. Here are a few tips to get you started. JAMF is a Mobile Device Management system that allows the district to manage a large amount of iOS devices. Some functions that it can perform are to send profiles to devices (such as library portal web clips), make available eBooks using the Self-Service web clip, and lock or unlock devices. It also deploys paid apps allowing the district to remain compliant with iTunes. Move the Self Service icon to your dock for easy access. Typing a long web address in the address bar of your browser can be difficult for many young students. Creating a QR code and having students scan using a QR code app will instantly take them to the desired destination. QR codes can also be created for everything from running scavenger hunts to polling students. Click here for more QR code ideas. 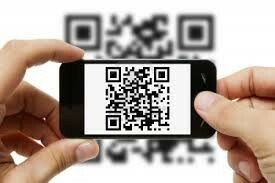 For a complete tutorial on QR Codes visit Tony Vincent- Learning in Hand.